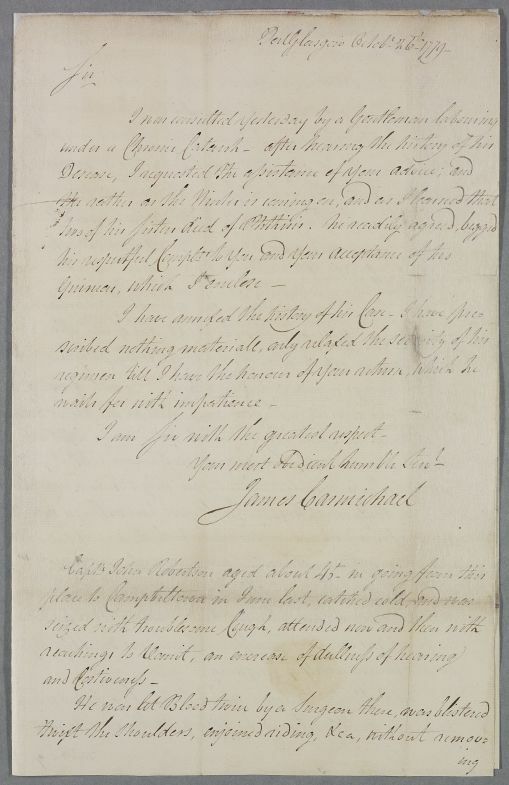 Letter from James Carmichael concerning the case of Captain John Robertson. 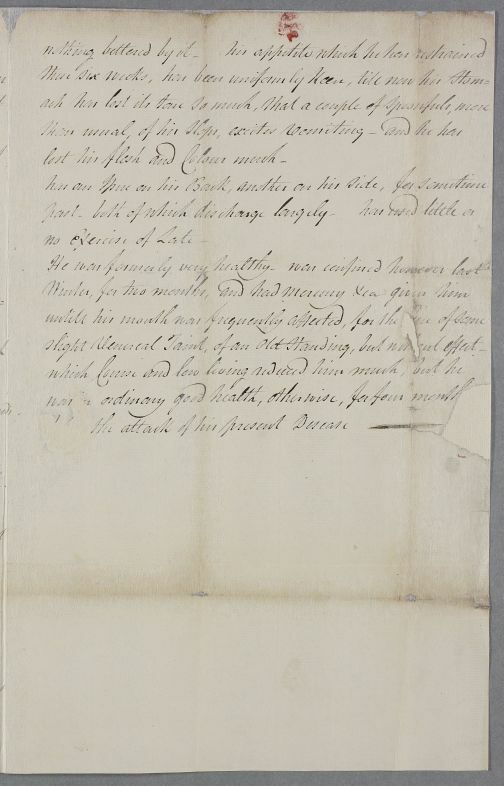 Summary Letter from James Carmichael concerning the case of Captain John Robertson. 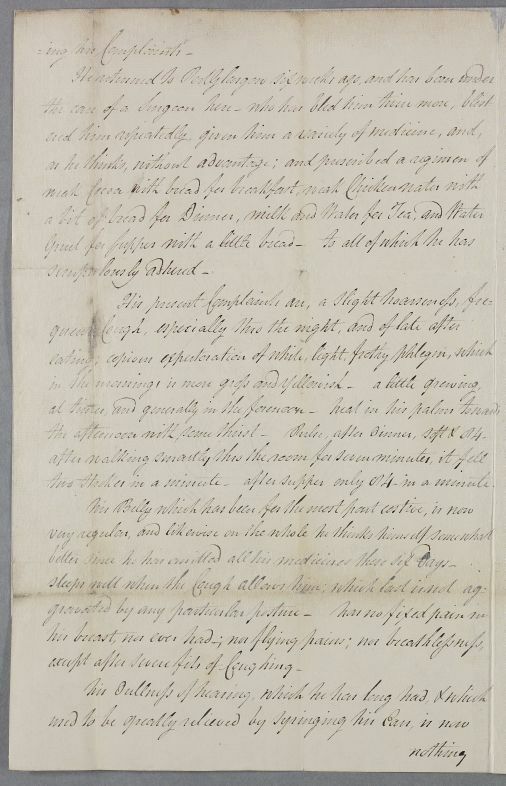 Port Glasgow October 26th 1779.
the afternoon with some thirst. Pulse, after dinner, soft & 84.
two Strokes in a minute. after supper only 84. in a minute. Port Glasgow Octobr. 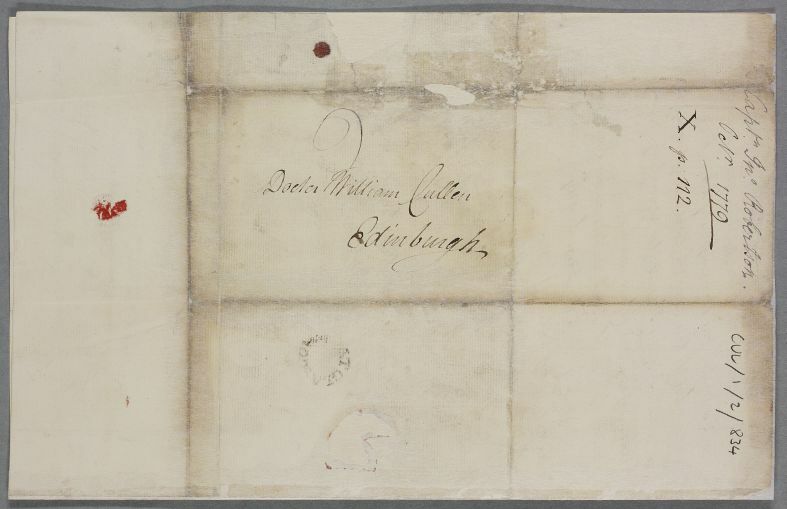 26th 1779. Your most obedient humble Servt.